I LOVE travelling with my girlfriends and try to do a “girl’s only” trip every year. This year, four of us got together and chose Nashville as our destination. 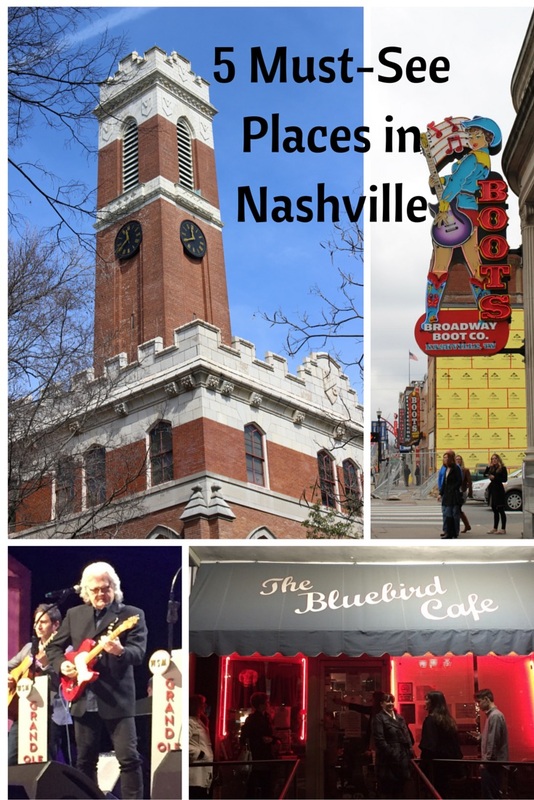 Here are my 5 Must-See Places in Nashville. This post contains some affiliate links for your convenience. If you purchase a product through my link, I may receive a small commission, at no extra cost to you. I so appreciate every click-through and purchase! Every little bit helps to keep My Side of 50 up and running. 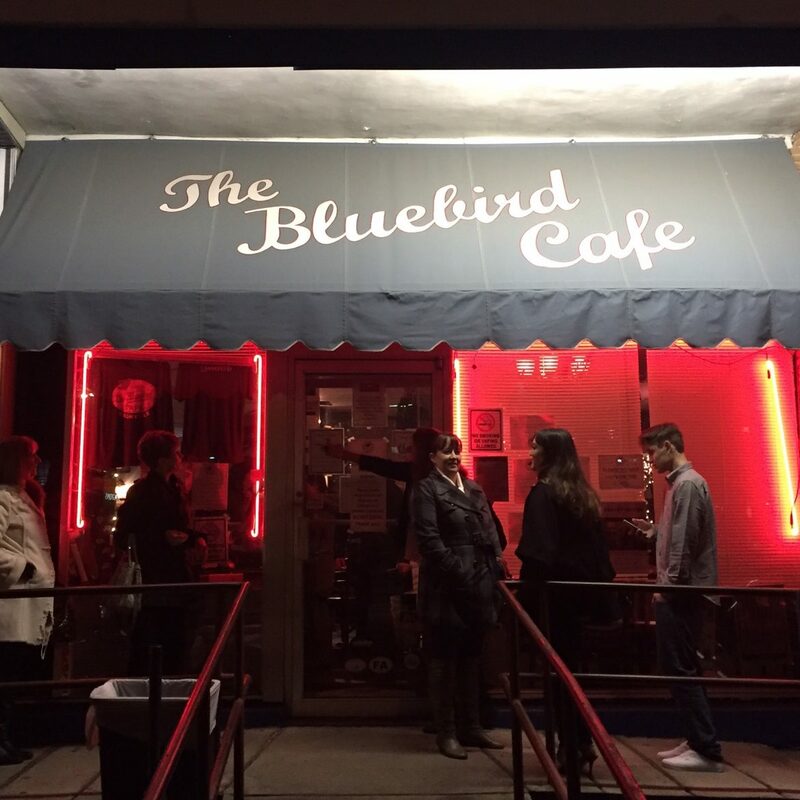 The Bluebird is a small, “hole in the wall” place in the middle of an unassuming strip center. There are two shows a night that feature songwriters performing acoustic sets of their own songs. Reservations for Tuesday-Saturday are taken ONLINE only and never more than a week ahead of time. Sunday and Monday shows are first-come, first-served. The night we were there, we heard legendary songwriter Charlie Peacock who had written hits for Amy Grant and the Newsboys (hello 90’s Contemporary Christian Music) and three up and comers – Matt Wertz, Andrew Ripp and Jake Ousley. The music was great and the whole listening experience is one that you don’t often have the opportunity to experience outside of Nashville. 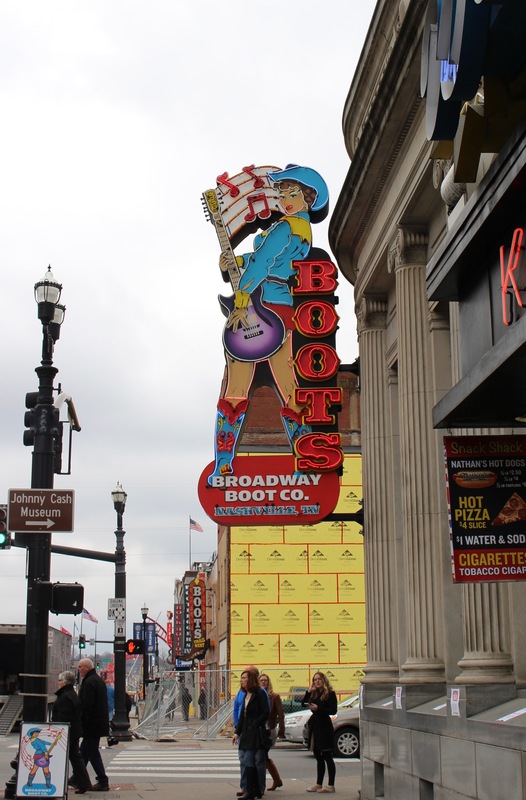 Lower Broadway is the home of many famous honky tonks featuring live music all day and night. There are many great bands playing in places where there is no cover. You can just buy a drink and listen. Keep in mind that the musicians make money only when people tip them, so be sure to throw $10-20 in their tip jar on your way out. When you think about it, where else can you hear live music for that price? We found that the weekends on Lower Broadway are pretty crowded and by about noon, it’s hard to find a seat in the bars. If you can visit Lower Broadway on a weekday, it’s much less crowded, you’ll get a seat and the music is still good! This beautiful museum highlights the history of country music from its roots to the modern sound we hear today. There are many exhibits playing musical clips from country music’s earliest days. 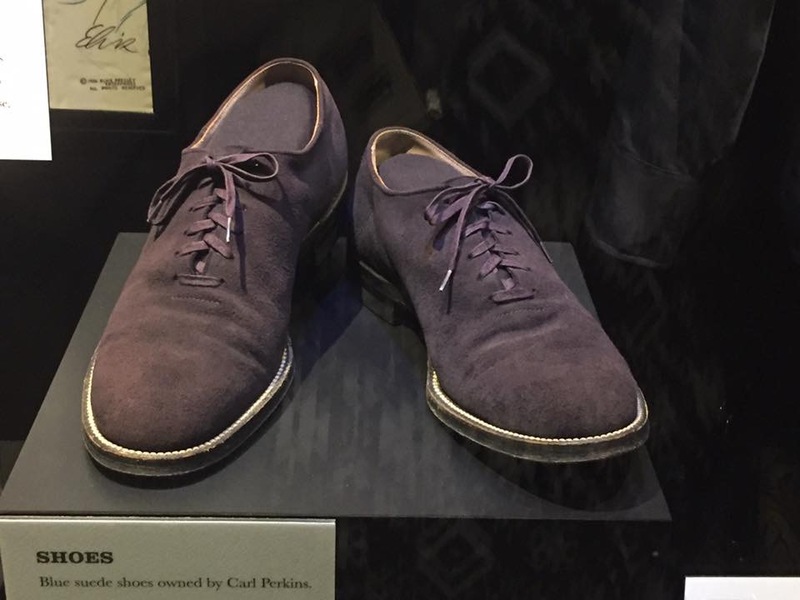 Memoriabilia such as Carl Perkins Blue Suede Shoes, one of Elvis’ cars, complete with TV and bar, Keith Urban’s guitars, and Taylor Swift’s costumes and props from her Red tour are included. One of my favorite exhibits showed a video of how TV embraced country music. Clips included Tennessee Ernie Ford and Minnie Pearl, Jimmy Dean (Big Bad John), Glenn Campbell, Hee Haw and Barbara Mandrell and the Mandrell sisters. I remembered seeing all of them on TV when I was growing up. The Grand Ole Opry has been a live radio show for 90 years. A show at The Opry is not like a typical concert. The 2 1/2 hour show is structured in 30 minute segments, each with it’s own host, several performers and commercials from their sponsors. This is the place to get a wide variety of musical entertainment. 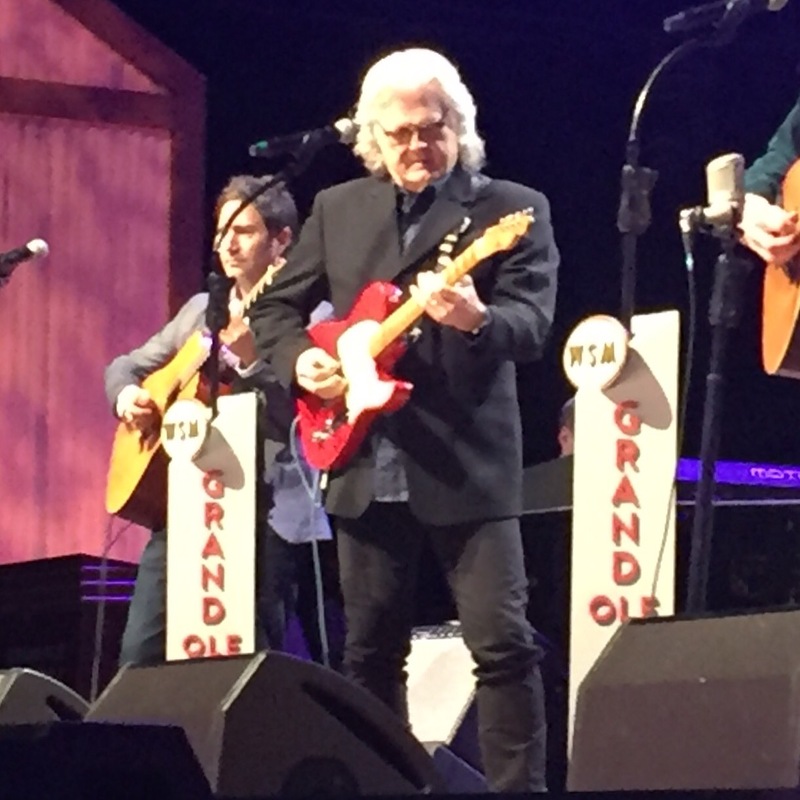 The night we were there featured artists from the past, blue grass pickers, square dancers, country stars from just a few years back like Ricky Skaggs and Crystal Gayle, young performers making their Opry debut like Clare Dunn and current headliners Montgomery Gentry. Allow plenty of time to arrive and get seated. The Grand Ole Opry shares a parking lot with Opry Mills Mall and is next door to the Gaylord Opryland Resort and Convention Center. Parking is limited and traffic is heavy! If the weather is nice, be sure and visit Centennial Park, a beautiful 132-acre park in the middle of Nashville. The centerpiece of Centennial Park is The Parthenon, a beautiful full-scale replica of the Athenian original. 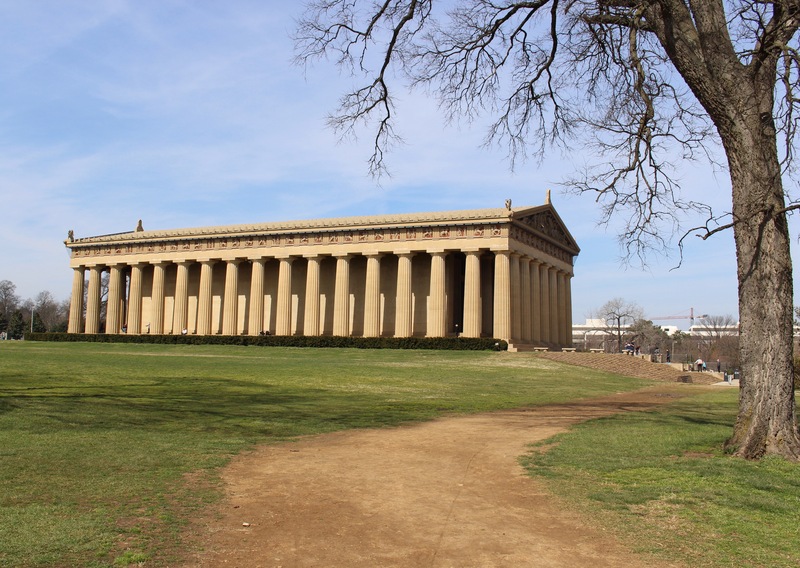 Inside the Parthenon is Nashville’s Art Museum. Centennial Park is a lovely place to walk around and enjoy the outdoors. Nashville is a lovely city with so much to see and do. The people are friendly and it’s relatively easy to get around. By the way, LYFT and Uber are great ways to get around Nashville. Why? You don’t have to worry about finding your way around. Parking downtown, where a lot of the sites are is scarce AND expensive. The drivers are very knowledgeable about great places to see and eat. And since Nashville is a big music town, you are likely to meet all kinds of people in the music biz who drive for LYFT and Uber on the side! We met up and coming musicians, songwriter and producers. And not just from country music, but from every genre – really cool. Want to drive for LYFT? Apply here. Have you ever visited Nashville? What were your favorite places? Need a midweek boost? Subscribe to My Side of 50 and get a BOOST every Wednesday – right to your inbox! Things that will inspire, educate and entertain you on your midlife journey! Subscribe Today! I would love the Grand Ole Opry the best. Isn’t Nashville where Vanderbilt is? My cousin loves it there as a violin performance major. 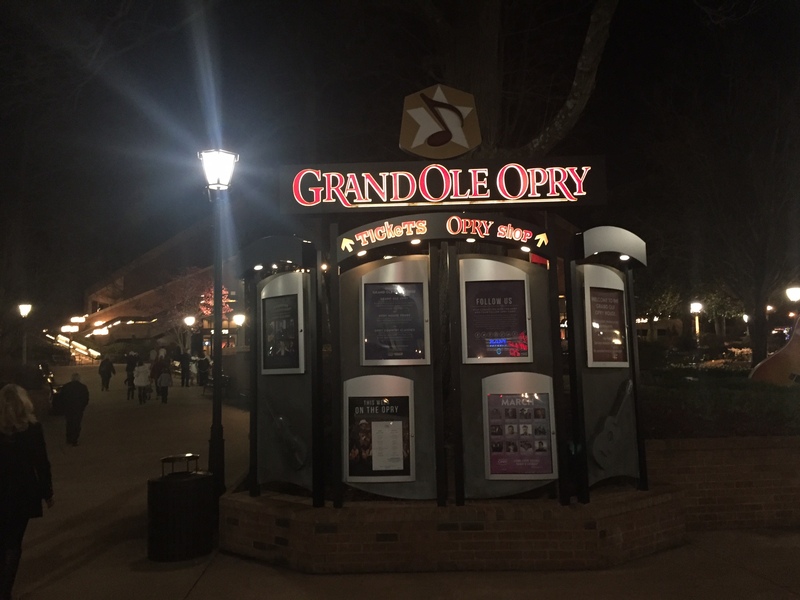 The Grand Ole Opry was great – so many different performers in one concert. Yes, Vanderbilt is there, very near Centennial Park. We walked around the campus and it was lovely! The one and only time I was in Nashville I never left the hotel!! Next time I am taking in the sights! If you ever go back, there is so much to do. Lovely city, great music, nice people! Lynn – since you actually LIVED there, your comments mean so much! I have a WHOLE OTHER post planned on the restaurants. Really great people in Nashville and such a fun trip. Want to take my husband there sometime because he is such a music lover. And we had several Uber/Lyft drivers who were musicians/songwriters, making our experience all the more authentic! I have never been to Nashville, but I love music, so I know that it would be right up my alley!! Jessica – if you love music, this is your town. And while there is a lot of country music, we met musicians from all fields – Gospel, hip-hop, rap. SO MUCH good music! We had a beautiful day to explore Centennial Park and nearby Vanderbilt University. Great place. Thanks for reading and commenting, Gina! I’ve never been to Nashville but it looks like you saw some hot sights! What a wonderful opportunity to travel with your friends too. Jennifer – we had such a great time! I love trips with my friends. Thanks for reading and commenting. Looks like a fun trip! I went to the Grand Ole Opry when I was pretty young. I remember see Minnie Pearl. 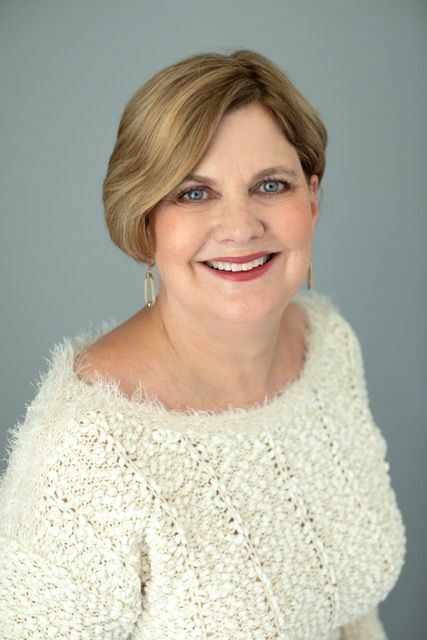 Linda – lots of memorabilia from Minnie Pearl and others that I remember from when I was a kid – like Tennessee Ernie Ford, Jimmy Dean, Glenn Campbell at the Country Music Hall of Fame. The Opry was great and we had a wonderful trip. Thanks for reading and commenting! What a fun trip! Nashville is such a great city for music lovers (and deep fried pickle lovers)! I had a whole meal of fried food at Merchants, including fried pickles! In fact, I am writing a post now on my 5 favorite places to eat in Nashville. Thanks for reading and commenting, Tiffany! This makes me really want to go to Nashville. Very cool. A lot of stuff that I really want to see. I hope you get to go there someday. It’s a great city. In a future post I am going to highlight my favorite restaurants in Nashville. Thanks for reading and commenting! I’ve never been to Nashville, but have a music writer/performer friend who lives there. Thanks for sharing your girls’ trip with us at the Over the Moon Link Party. Sandy – we met several who were our Uber/Lyft drivers. Such fun to hear about their careers. Thanks for reading and commenting! How nice to be out with the girls. I went to the Grand Ole’ Opry about 30 years ago but not in Nashville. We loved it. Girl’s trips are fun, no matter where you go! I had such a fun time when I went to Nashville last year. Our cab driver took us on a quick look-see of the Two Rivers Mansion. I wish I could have spent more time sight seeing. Next time. Great pics. I pinned. Thanks for pinning Rebecca – glad you had a good trip too! So much to see in do. We’ll have to go back. Deacon. I mean, DEACON! I love Nashville, the show, too. I couldn’t think of a better girls’ trip! Carol, Two of us on this trip are BIG Nashville & Deacon fans. The closest we got to him was a picture on the window of a department store! My brother went to college at Vanderbilt in Nashville and I remember visiting him and going to the Bluebird Cafe! Sounds like time for repeat visit! We walked around Vanderbilt one day. Beautiful campus! And The Bluebird is great! I lived in Nashville once and enjoyed all the places you mention, but don’t forget to visit Franklin- just 30 minutes south! Cheryl – It wasn’t included in this post, but we did go to Franklin and it was lovely. May do a whole post just on that! Nashville is a great city! It has been ages since I’ve checked out Nashville. I need to do it again. PS I hate captcha codes! I never get them right. Tam – does my comment section require a captcha code? I wasn’t aware that I set that up. Sorry if it did. Thanks for reading and commenting! Uh yeah – something like that. No telling what can happen when you don’t have a husband or kids to worry about! LOL! It’s a great city. You two would have a wonderful time. Put it on your bucket list! I was in Nashville MANY years ago for a conference, and my husband came along. We managed to see three of the five on your list. I believe it’s time to head back and add the other two! You should – it’s such a great place. We had a blast! I love the show Nashville, too! The music is fantastic. Thanks for the great tour of Nashville. Looks like such a fun trip. I have never been….I am now adding it to my travel list. I see the cast of Nashville going out on tour a couple of times a year. In fact, Charles Esten was scheduled to play the Orpy a few days after I was there. If they ever come to Houston, I’m going to see them. You’re right the music is great. I’ve even downloaded a few of the songs on iTunes! We visited Nashville last summer and loved it. We had a great time at the Grand Ole Opry and will have to go back to visit the rest of the places you recommend here! Grand Ole Opry was wonderful. Such a variety of entertainment. All of Nashville is really fun! I’m never likely to get there (we’re in Australia) but it was interesting to see things that I’d heard of and to know that they are real and “happening” and full on. We stayed at the Opryland when I went because I was there for a conference but we loved going in and out of the little bars and the country music hall of fame was super. Definitely need to hit up the Bluebird next time. We actually ended up hitting the grand ole opry on a night when Blake Shelton and Jewel were there..I was so excited. Blake and Jewel would be a great show to see. I was so impressed by the Opry. The old style country singers reminded me so much of my dad and the music he liked. They were all such good musicians. And I was amazed at the quality of music of all the little honky tonks downtown. Bluebird is a must next time – a one of a kind experience! Sounds like an awesome trip. Nothing beats a bunch of friends out having a good time. Lower Broadway sounds interesting to me! Girls trips are the best! We try to do one a year. Thanks for reading and commenting! I would enjoy a trip to Nashville. Nashville is a great city. I think you’d enjoy it! I was interested because I am in Franklin right now. I have been here ten days. We got rained out a few days , We missed the Country Music museum, but will catch it on our next trip. We enjoyed the Nashville Symphony and loved Dierks Bentleys new whiskey bar on Broadway. Michelle – I’m sure you are home by now. Isn’t Nashville such a great city. So much music of all kinds! Be sure and hit the Country Music museum next time you are there and the Bluebird Cafe! Nashville is a city that I must go to. Thanks for the highlights. Great city, Patrick. So much to see and do and great food to eat! My husband and I went to Nashville to see George Strait on his farewell tour. We had a blast, I would love to go back! Thank you for sharing your adventures there with us! I think there is something about seeing a country star in Nashville that is special. A whole different kind of energy. I love George Strait!